Eco Yoga Sanctuary is a haven where many activities are happening. From fitness within and out our body and souls to exclusively renting for private practices or small events, shopping for yoga and Pilates accessories and yoga retreats locally and internationally. Almost everything you need and want is offered only here in our Sanctuary. Our Sanctuary provides the fitness, relaxation and meditation you are looking for. We exquisitely put on the best instructors in the city for each classes to make your practice worthwhile. Variety of classes are on the schedule for you to explore and improvise your practice. 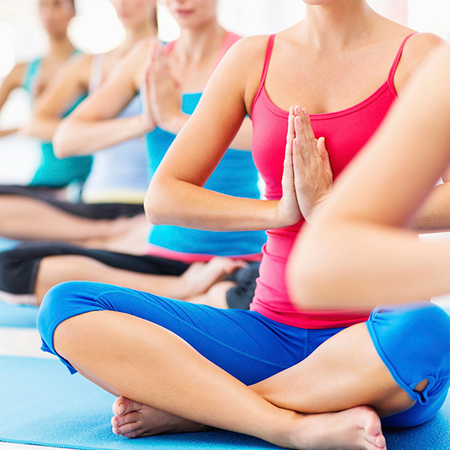 One of our special classes is Hot Yoga where the rooms get heated in a fun way to lose weight. One of good things about Eco Yoga Sanctuary is that you don’t need to hassle yourself to drag into the main city and buy your props and stuff. Here’s one secret, only in Eco Yoga Sanctuary where shopping is made easy! In the retail area is the best place for almost all of our favourite yoga brands from mats to tank top. Not only that. Eco Yoga Sanctuary from time to time is hosting events, courses, workshops and retreats from names all around the globe. Visit us today and let us discuss how we can satisfy you.